This page shows the latest Quizartinib news and features for those working in and with pharma, biotech and healthcare. Others are however moving through the late-stage pipeline, including Daiichi Sankyo’s quizartinib and Arog Pharma’s crenolanib. s quizartinib and Arog Pharma’s crenolanib as well. 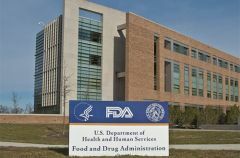 Two other FLT3 inhibitors - Daiichi Sankyo's quizartinib and Arog Pharma's crenolanib - are also in late-stage testing. Daiichi Sankyo's quizartinib - acquired along with Ambit Biosciences' for $410m in 2014 - and Arog Pharma's crenolanib are both in phase III testing in FLT3-positive AML. 500. Ambit Biosciences / Daiichi Sankyo. Company acquisition. Kinase inhibitor pipeline, lead compound quizartinib for AML in phase III. Similarly Daiichi Sankyo has supplemented its oncology pipeline by acquiring Ambit Biosciences for $400m. Ambit develops kinase inhibitors and has quizartinib in phase 3 for acute myeloid leukaemia.